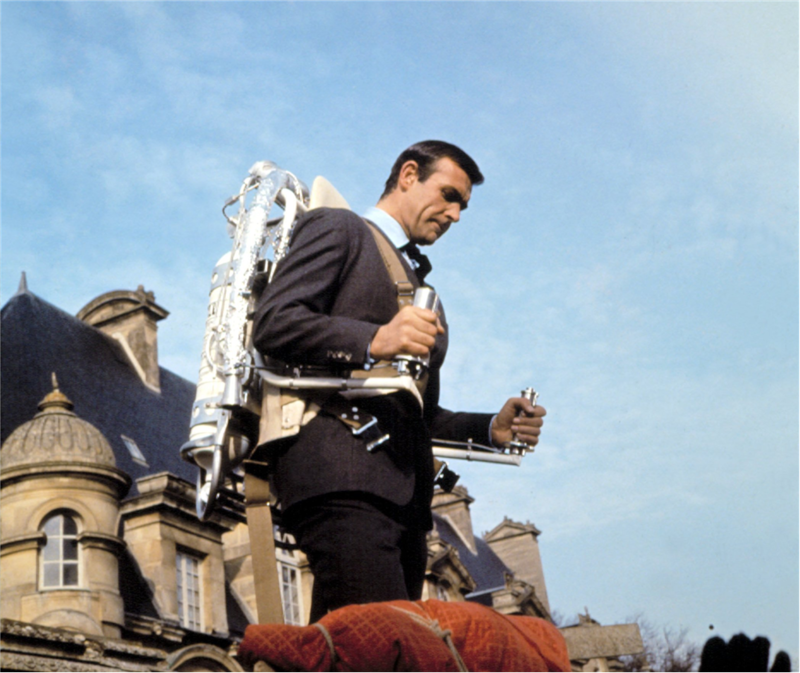 James Bond's fourth adventure is a grand, high-budget affair, and one of the best in the series. Thunderball boasts Sean Connery in full stride, a nefarious SPECTRE plot, a terrific Bond girl in Domino, and breathtaking underwater photography, all supported by the highest budget yet allocated to a Bond movie. The Special Executive for Counter-intelligence, Terrorism, Revenge and Extortion (SPECTRE) organization is hatching a global blackmail scheme, masterminded by SPECTRE No. 2 Emilio Largo (Adolfo Celi). The plan calls for an agent aided by plastic surgery to impersonate a NATO pilot and seize a bomber equipped with atomic warheads. The agent lands the stolen military plane on water, from where Largo takes control of the two bombs, hiding them underwater and demanding a large ransom for their return. James Bond (Sean Connery) is one of the agents assigned to the case, and he needs to find the bombs before the ransom is paid and before SPECTRE blow up a city of their choosing. Bond's investigations lead him to the Bahamas and Dominique "Domino" Derval (Claudine Auger), the sister of the impersonated NATO pilot and now Largo's lover. Bond soon seduces Domino and turns her to his side. With her support and the help of the CIA's Felix Leiter (Rik Van Nutter), Bond needs to infiltrate Largo's yacht and mansion (complete with a shark pool) and find the underwater bomb hideout, a mission which will involve plenty of diving and a massive underwater battle between Largo's men and British Special Forces. The Thunderball script, based on an Ian Fleming novel with hotly disputed co-authorship that lingered in the courts for decades, is satisfyingly rich and complex, but director Terence Young takes his time and maintains clarity as events speed forward. The result is a longish 130 minutes, but the action-filled climaxes are supported by solid scenes of plot build-up and what passes for character development in the Bond world, adding to the drama as the screws are turned by Largo and his men. Adolfo Celi makes a fine villain as Largo, mixing a worldly high class aura with ruthless violence. Auger's Domino is one of the most beguiling women in Bond's catalogue. Clever, vulnerable, resourceful, dressed to kill mostly in stunning black and white geometrics and ultimately mercilessly bent on revenge, Domino adds plenty of dash to Thunderball, and Auger plays her with the right blend of silk and steel. Thunderball does not skimp on other opportunities for amorous interludes, girl power and lingering sexism. The other women orbiting Bond's adventure include deadly SPECTRE Agent Fiona Volpe (Luciana Paluzzi), Nassau station ally Paula Caplan (Martine Beswick), and physiotherapist Patricia Fearing (Molly Peters). Thunderball spends a long time near the water or underwater, all the more reason to display Connery in bathing trunks and the surrounding bevy of beauties in bikinis for as many scenes as possible. But when it's time for the serious business of underwater blood letting, cinematographer Ted Moore and underwater photographer Lamar Romer do an excellent job in maintaining sense and lucidity as silent battles rage for control of the ocean floor. With gadgets aplenty and an authoritative title song by Tom Jones rounding out the Bond staples, Thunderball scores an exhilarating subaquatic battlefield bulls eye.